Europe and America have been long-term partners as well as rivals. New spheres of influence between the European Union and the United States have unfolded. The Middle East and its peripheral geographic areas lie at the heart of this process. In the wake of the 2003 invasion of Iraq, a unified stance has developed within both the E.U. and NATO in regards to this geopolitical re-division. This unified stance is a reflection of an unfolding political and strategic consensus between the U.S., Britain, France, and Germany. While Iraq falls within the Anglo-American orbit, the Eastern Mediterranean and its gas resources have been set to fall into that of the Franco-German entente. In fact, the entire Mediterranean region, from Morocco and gas-rich Algeria to the Levant is coveted by Franco-German interests. The Anglo-American alliance and Franco-German entente are economic, political, and military alliances that have been forged by historic and socio-cultural realities that gave rise to opportunities of great magnitude. The Franco-German entente is a continental European entity, whereas the Anglo-American alliance is the incarnation of maritime trade and the overseas legacy of Britain. The Franco-German entente is based on the post-war partnership of France and the Federal Republic of Germany (West Germany) after the Second World War. After the unification of West Germany and East Germany the Franco-German partnership evolved, strengthened, and spawned the European Economic Community (EEC). France and a unified Germany were the basis for the evolving structure of the European common market and later the European Union. European nations such as Belgium and Luxembourg are members of the Franco-German entente. These European countries are economically integrated with France and Germany. This is why Belgium and France have been aligned together in an economic face-off against the Anglo-American alliance in the African continent. Countries like Belgium, Luxembourg, and Austria also sided with Paris and Berlin against the Anglo-American invasion of Iraq. In February of 2003, Belgium even assisted France and Germany in obstructing Anglo-American plans involving the use of NATO in Iraq. The Anglo-American alliance is formed from the remains of Britain’s overseas colonies and territories. Unlike the Franco-German entente, the base of the Anglo-American alliance is outside of Eurasia. This becomes apparent after one considers the island nature of Britain in addition to the geographic situation of America. This is additionally reflected in the naval strength of Britain and America. Australia and Canada fall within the orbit of the Anglo-American alliance. English is also the official language of many of the nations within the alliance, which are also part of the Anglosphere (English-speaking World). This is a reflection of the historical roots of the Anglo-American alliance. The Anglo-American alliance also has an intimate relationship with Israel. Countries like the Philippines, Japan, South Korea, and Guam that have been under the military control of America in the past also fall within the orbit of the Anglo-American alliance. The E.U. is the creation of France and Germany, but it has become a shared body for the four most powerful nations of the so-called Western World. Without giving recognition to the fact that the E.U. is a creature of France, Germany, Britain, and America, it is hard to conceptualize Anglo-American foreign policy objectives being implemented through Europe. It should also be remembered that the E.U. is not the sole representative of the European continent or European civilization. The three major powers in the E.U., the so-called “European Union-Three,” are France, Germany, and Britain. Yet, these three European countries are not alone. America in reality is the European Union’s fourth power, which acts through, or more properly with, Britain. The alliance between Washington D.C. and London makes America a de facto power in the European Union. London is also America’s voice in Europe. Several other mechanisms including control of Eastern European E.U. members and NATO also allow America to exert itself in Europe. When it is recognized that the E.U. is a creature of both the Anglo-American alliance and the Franco-German entente, it can be recognized that American interests, like those of the British, are served through E.U. expansion. The expansion of the E.U. is an indirect expansion of America’s orbit and interests. This is why the E.U. is called a part of America’s bridgehead in Eurasia. E.U. expansion also serves a second purpose for Anglo-American interests. The strength of the Franco-German entente can also be diluted or undermined as a result of E.U. expansion. However, this depends on the rate or velocity of E.U. expansion. A fast rate of E.U. expansion, but not exceedingly fast, serves Anglo-American interests by not allowing the Franco-German entente to consolidate its power within the E.U. and commandeer it. A steadier rate of E.U. expansion is in the best interests of the Franco-German entente. This is one of the reasons why tensions existed between Britain and France over E.U. expansion in Eastern Europe. This is also the reason why the U.S. openly called for the entry of several Eastern European countries such as Poland into the European Union. Although the E.U. is a body of both the Anglo-American alliance and the Franco-German entente, the European bloc is overtly managed by the Franco-German side. France and Germany, with their allies, are still the dominant forces within the European Union. When international analysts talk about rifts or arguments between the E.U. and America they really mean the disagreements are between the Franco-German entente and America (and by extension Britain). When NATO acts it does not necessarily serve Anglo-American interests. Just as when one conceptualizes that the E.U. also serves the interests of America they must also recognize the Franco-German relationship in NATO. NATO is the iron rod that both alliances share within the broader trans-Atlantic framework which evolved after the Second World War. In parallel to the dichotomy of the E.U., NATO is also divided into two main branches: the Franco-German entente and the Anglo-American alliance. The stronger of the two is the Anglo-American side because of the military might of America. NATO is both a Franco-German and Anglo-American tool and has been used to further the economic and geo-strategic interests of both. Yugoslavia is one case where Germany and America worked hand-in-hand, reducing the former Yugoslav states into military garrisons and economic territories. However, just as the E.U. is dominated by the Franco-German entente it is the Anglo-American alliance that inversely dominates NATO. In other words within the framework of Europe the Franco-German entente has the political upper hand, while the Anglo-American alliance holds military sway. It is this political-military imbalance which creates an economic equilibrium for both sides and a power sharing scheme. This division of military and political power between NATO and the E.U., which also forms a triad with economic power, has allowed America to cleverly insert itself into the E.U. via Britain. Furthermore, the military sway that the Anglo-American side holds has always been a point of contention, to the point where the French left NATO for a period of time. The creation of a Eurocentric defensive strategy for the E.U. has been part of the past Franco-German attempt to gain control over the European Union. This initiative was also resurrected during the Anglo-American invasion of Iraq when France, Germany, Belgium, and Luxembourg held a meeting on the issue. The subject was so corrosive that Britain said that it was a return to the splits of the Cold War in Europe in regards to its own Cold War allies. Under Anglo-American geo-strategic planning, it was recognized at the end of the Cold War that the Franco-German entente and the Anglo-American alliance would eventually have to work together, if America wished to proceed with Britain in a quest for global primacy. Zbigniew Kazimierz Brzezinski, one America’s most influential geo-strategic experts, in 1997 foretold of the pivotal role that the Franco-German entente would play in extending American control of Eurasia. He maintained, like many of his colleagues at the Council for Foreign Relations (CFR), that E.U. expansion was equivalent to covert American expansion. It would be America that would be in the shadows of an expanded European Union. However, it was maintained that without the cooperation of France and Germany the task would prove next to impossible and for the naïve. 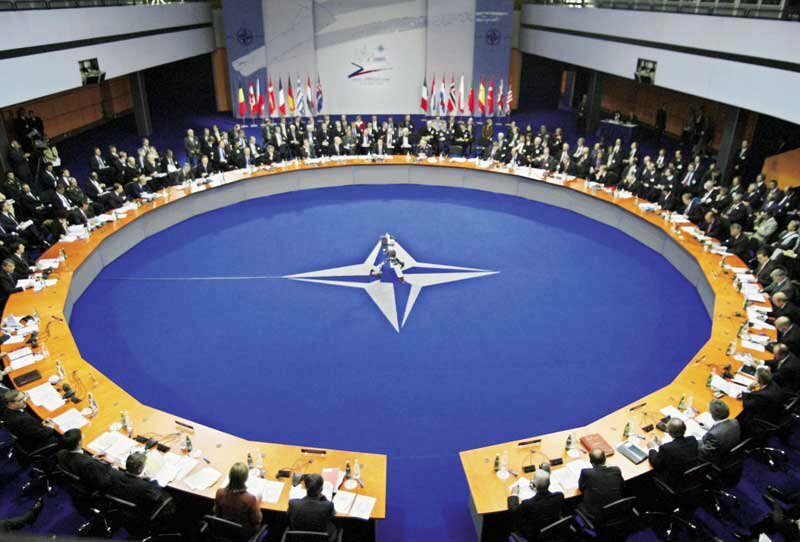 NATO could not be applied and the E.U. would not expand without Franco-German cooperation. This meant that the Anglo-American alliance and the Franco-German entente would have to arrive to a compromise based on broader power sharing or a system of consensus that would cut across the board. An understanding had been reached at some period during the eve of the “Global War on Terror” that the areas being encompassed within the geographic boundaries of United States Central Command (CENTCOM), along with vast geographic stretches, would be divided between the two pillars of NATO. In late-2001 preparations to essentially create the mechanisms for sending troops and naval power into the Eastern Mediterranean were made. Without these preoperational mechanisms the NATO naval contingent off Lebanon’s coast in 2006 would not have materialized as it did. The logistical mechanisms for the operation were prepared years beforehand. This is just one facet to add to the dossier that illustrates the preplanned nature of the 2006 Israeli attacks against Lebanon and NATO’s role. The confessions of the Israeli government at the Winograd Commission also are a direct verification of the calculated nature of the war against the Lebanese. After the invasion of Afghanistan in 2001, the White House had a change of heart. The Bush Jr. Administration believed that the Anglo-American alliance could discard forming a greater partnership with the Franco-German entente, therefore ruling out any division of the proceeds of war and conquest. This infuriated the Franco-German entente which, with the help of Russia, created a worldwide political firestorm for Britain and America. The Franco-German entente had been cut out of the agreement by the Anglo-American alliance. It seemed for a time that the Bush Jr. Administration was going to ignore what Anglo-American planners said was a necessity in geo-strategic planning. However, it appears that the American ruling establishment and the realities of the “Global War on Terror” have forced the White House to return to the path originally charted by Anglo-American geo-strategists in both Washington D.C. and London. The sector scheme is being utilized. It is also under this framework that the spoils of war and the Middle East are supposed to be divided into areas of management by the Franco-German entente and Anglo-American alliance. The word management is employed as a suitable term due to the nature of the arrangement. Like in the former Yugoslavia, both sides can share a territory and its spoils, but one is responsible for supervision operations and administrating in their area of responsibility. This is comparable to the arrangement in Bosnia-Herzegovina between the Franco-German entente and Anglo-American alliance. It is this deviation by the Bush Jr. Administration from the original track (set years before), which demarcates the so-called “neo-conservatives” in relation to the so-called “liberals” in America and Europe. In Israel the case is also similar. Liberalism in mainstream politics, as represented in the U.S. by the Democratic Party, prefers to be more subtle in its approach and therein is where the difference lies, but there should be no mistake about the fact that liberals will not hesitate to resort to an outright war as an instrument of foreign policy. Both liberalism and conservatism in mainstream global politics have identical goals, but differ in discretion levels. Both conservatism and liberalism in the mainstream political environment are different sides of the same coin and serve the same interests. The difference between both is methodological and not about objectives. Their differences lack real substance. Both liberals and conservatives complement one another and take turns at having power and being in office like a swinging pendulum. One side is labeled “Left” and the other side is tagged as “Right,” but the same source holds and controls the pendulum. The labels they use only serve the goal of presenting alternatives in monopolized political environments, controlling political platforms, and dividing populations. Why else would a supposed liberal like Prime Minister Blair of Britain, from the Labour Party, and a neo-conservative like President George W. Bush Jr. have worked on a single-track. NATO’s Riga Summit seems to have been a deepening and a fine-tuning of the understanding between the Franco-German entente and the Anglo-American alliance. It was an Anglo-American return to basics, so to speak. However, the process towards reconciliation was started shortly after the Anglo-American invasion of Iraq. France and Germany cancelled Iraqi debts after talks with Britain and America. Despite the fact that new governments have taken office in Berlin and Paris, under Federal Chancellor Angela Merkel of Germany and President Nicholas Sarkozy of France, Franco-German objectives have not changed. French and German policies like American are part of a continuum. The administrations of Merkel and Sarkozy are continuations of their predecessors, Jacques Chirac and Gerhard Schröder (Schroeder). At a summit between the U.S. and E.U. both sides stated that economics was the most important factor in their relationship and that politics was merely secondary. What appear to be radically pro-American governments in Europe are merely European administrations which reflect the merging of Franco-German and Anglo-American interests. Gerhard Schröder, a German social-democrat, laid all the groundwork for Merkel’s conservative administration and for German rapprochement with America and Britain. It is also worth noting that Angela Merkel would be considered a liberal by North American standards. This also further exposes the misleading and unreliable use of the terms conservative and liberal in modern politics. 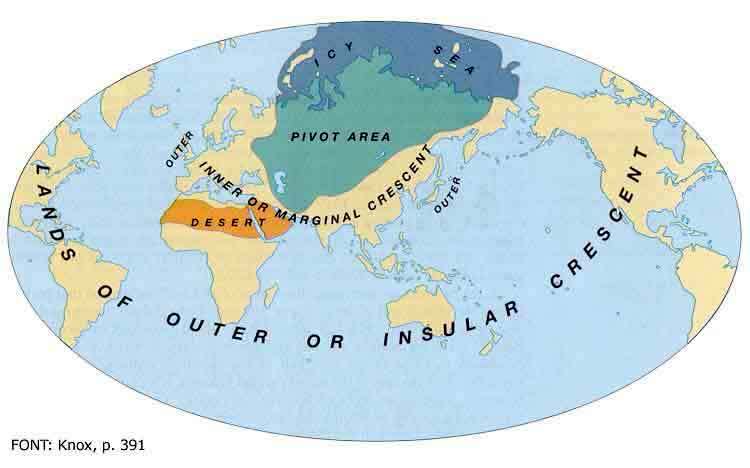 The “pivotal area” was used in Sir Halford J. Mackinder’s “Heartland” to describe the area of Eurasia that formed the pivotally important core of the global geo-strategic and geo-political environment. We now find that through geo-political realities and necessity the area in question must be redefined. Halford Mackinder coined the term to define an area within the Eurasian landmass, but it is apparent that the “pivotal area” in the truest sense of the word and possibly the “Heartland” itself is a much broader and diverse area that not only lies in Eurasia, but extends into Africa. The global environment is not static. It seems that this area is anchored by geographic reality, but is shifting because of socio-economic, demographic, and political factors. To define the pivotal area, we must look at the area(s) in which — in the course of the post-Cold War era — the U.S. military has been heavily involved in, from low spectrum to high spectrum warfare and operations. This also includes hostile economic actions and covert intelligence operations. After pinpointing these areas one can set a conceptual boundary. This subject area is of vast geography, it includes the Balkans, the Caucasus, Central Asia, the Middle East, and East Africa. These regions, arguably, together form the tectonic plate that holds the globe together in a geo-political sense. It is this geographic stretch that has been, and continues, to be a geo-strategic chessboard for competitions of expansion and repulsion. These areas are also some of the most important cultural bridges on the face of the earth. The cultures and knowledge of different civilizations have interacted here for thousands of years. Intense cultural diffusion has also taken place within this geographic stretch as a global cross-road. Zbigniew Brzezinski has also stipulated that an area roughly corresponded in geographic boundaries to the area that has just been defined is pivotal to global power and Eurasian security. Henry Kissinger has also more or less made similar statements by explaining the importance of neutralizing Iraq and Afghanistan (before its pro-Soviet government was overthrown), both Soviet allies, and containing an Iran fresh with revolutionary fervor in 1979. This was according to Henry Kissinger because of the pivotal importance of the area. Global security encompasses this vast and “pivotal” area as a singularity and it is the Middle East that is the focal point of this geographic stretch. An arc of uncertainty and instability has been generated by Britain, Israel, the U.S., and their partners, including their intelligence apparatus, from East Africa and the Balkans to the Middle East, the Caucasus, and Central Asia. In 1993, Zbigniew Brzezinski stated that, “The tragedies of Lebanon of the 1980s, or of Kurdistan and the former Yugoslavia of the early 1990s are previews of things to come within the Eurasian oblong of maximum danger.”  What was implied by Brzezinski was balkanization ranging from sectarianism to ethnic clashes. The situation in Iraq is part of this process, as are the tensions in Lebanon, Kosovo, Turkey, and Caucasia. A classical “divide and conquer” strategy is at play. The underlying objective is to provoke ethnic clashes across the Middle East and Central Asia. This venture, which is linked to Bzezinski’s forecast, is part of an agenda which consists in literally redrawing the map of this broader region. Moreover, there have also been attempts at sparking sectarian and ethnic differences in Iran from adjoining areas in Anglo-American occupied Iraq and NATO-garrisoned Afghanistan that implicate America and its allies. Tension has gradually been building up in the Middle East, which is the central focus of this vast geographic area called the “Arc of Instability.” This area also roughly corresponds to what the U.S. military identifies as U.S. Central Command (CENTCOM or USCENTCOM). The U.S. military, through the inheritance and legacy of British geo-strategic projects, is acquainted with the pivotal area and has identified it in roughly the same corresponding areas that have just been defined. CENTCOM is the active manifestation of this conceptual geographic area. CENTCOM is one of five U.S. military regional active theatre-stage command zones. It is also no mere coincidence that the geographic area that CENTCOM encompasses is also the most active plain of U.S. military action on the face of the earth. CENTCOM is composed of East Africa, the Middle East, and Central Asia. Although the Balkans, Turkey, the Caucasus (Caucasia), and Russia are located within the operational boundaries of another U.S. military region, United States European Command (EUCOM or USEUCOM), they are also vital to CENTCOM operations and are integrated into the preparation and the planning of CENTOM by the Pentagon and NATO. It should be noted that Israel is not placed within the boundaries of CENTCOM by the Pentagon. Syria and Lebanon were also recently, in 2004, re-categorized or redrawn into the borders of CENCTOM. Both Syria and Lebanon were previously included as part of EUCOM, like Israel and Turkey, prior to 2004. This is an important fact to keep in mind and it is linked to the interests of the E.U. in the Mediterranean area. Anglo-American occupied Iraq, Eastern Syria, the Persian Gulf, portions of Turkey, and Iran seem to be the centre of this strategic area. The outer peripheries are currently the following; (1) the Eastern Mediterranean and the Levant, (2) NATO-garrisoned Afghanistan and Pakistan, (3) the ex-Soviet republics of Central Asia, (4) the Horn of Africa and East Africa, and (5) the Balkans. CENTCOM more or less corresponds to what Brzezinski calls a “large geographic oblong that demarcates the central zone of global instability” which runs from the Balkans through the Middle East and Central Asia to Kashmir and East Africa. 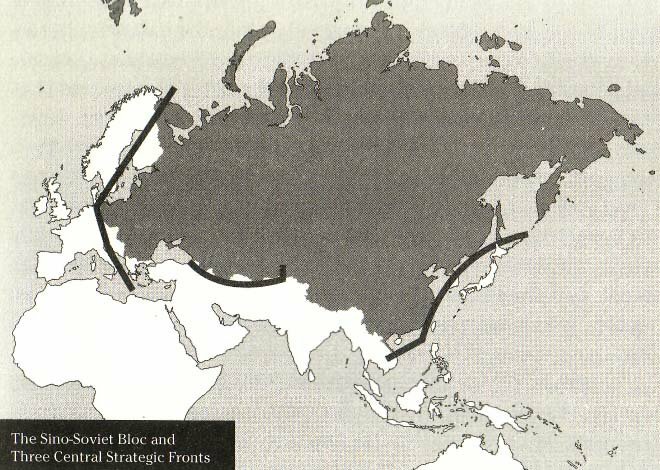 This “central zone of global instability” is also linked to the central area of Nicholas Spykman’s “Rimland.” It must be noted that, during the Cold War, Nicholas Spykman was also known as a master of containment theory. The Rimland is the concept of a geographic area adjacent to the “Heartland” that is comprised of most of Europe, the Middle East, the Indian sub-continent, Southeast Asia, and the Far East. 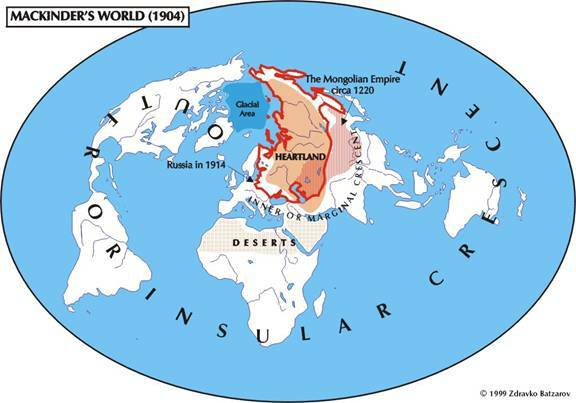 This area forms an enveloping geographic ring around Mackinder’s “Heartland.” In other words, the Rimland essentially surrounds the central, core region of Eurasia. CENTCOM lies in the axis or midpoint of Spykman’s Rimland. Penetration of the Eurasian core is underway. NATO is a bridgehead from Europe that is pushing towards Russia. An Asiatic sister-alliance of NATO is being forged against China. The axis of the Rimland, which includes the Middle East and Afghanistan, is being militarily infiltrated and mobilized by NATO and its allies. CENTCOM indeed is an appropriate and suitable name for this mid-area that is crucial and “central” to connecting the Asiatic and European flanks of any trans-Eurasian military network surrounding Russia and China. Furthermore, this area can also be used for creating a wedge between the European portion of Russia, which is the nerve of Russia, and China. Additionally, if one also examines the geographic position of U.S. and NATO military bases they are concentrated in the Rimland. Two defunct military alliances that were animated by the Anglo-American alliance, the Middle East Treaty Organization (METO), also called the Baghdad Pact, and the Central Treaty Organization (CENTO) were also located in the axis of the Rimland, where CENTCOM is presently located. Both the dead military pacts were modeled after NATO. In regards to the later military alliance, CENTO, it should be noted that the phrase “central” is used which denotes the geographic centrality of this area in Anglo-American geo-strategies. There is a direct correlation between the strategic nomenclature (naming system) used to denote CENTO and CENTCOM. Simply put, this demonstrates that this geographic area has been viewed as a central area for a historic period of time in Anglo-American strategic circles. Both METO and CENTO were Anglo-American constructs. Britain, Turkey, Iran, and Pakistan were all full members of CENTO, whereas the U.S. was an associate member. CENTO was forged out of the remains of METO, which became non-operational in 1958 when Iraq withdrew. Iraqi withdrawal from the Baghdad Pact was a result of Baghdad’s wishes to follow an independent path after an Iraqi revolution overthrew the Anglo-American puppet Hashemite king. Baghdad would eventually ally itself to the Soviet Union and cut its ties with America in 1967. Almost overnight Iraq became known in London and Washington D.C. as a radical Arab state that was a threat to Israel and to a monarchical Iran allied to America and Britain. Anglo-American geo-strategists would always make calculations in regards to Iraq based on two goals: neutralizing Iraq and regaining the lost Iraqi oil fields. It would be the Iraq-Iran War that leads to this objective. The Middle East, formerly called the Near East, is an abstract geographic concept that has been shifting with geo-strategic, political, and socio-economic policy. For example, there was a time when academics, map makers, and geographers considered the Balkans as a part of the region. In the mind of many the Middle East is a synonym for Arab World or for Southwest Asia, but both terms are different. The Middle East includes non-Arab countries like Iran, Turkey, and Cyprus. The term Southwest Asia also excludes Egypt, the European portion of Turkey in Thrace and even Greece, depending if you categorize it as a part of the region. The Middle East is a region that embraces three continents (two if you look at Europe and Asia as Eurasia); Europe, Asia, and Africa. It is from here that Anglo-American geo-strategists believed they could establish global hegemony by controlling Eurasia. Three important maritime passages and five important bodies of water also are located or embrace the area around the Middle East. The important maritime passages and straits can be used to manipulate, cut, and control global navigation, international trade, maritime traffic, and energy supplies. Theses strategic maritime passages are the Suez Canal of Egypt, the Bosphorus/Bosporus of Turkey, and the Gate of Tears (Bab al-Mandeb) located between Djibouti and Yemen at the southern tip of the Red Sea. The five important bodies of water in this area are the Black Sea, the Caspian Sea, the Persian Gulf, the Red Sea, and the eastern end of the Mediterranean Sea. Control over these maritime passages would have grave ramifications for Russia, China, Iran, and any adversaries of NATO in regards to trade, naval movements, and energy supplies. It is safe to say the post-Cold War objective of the United States in Eurasia is penetration. The different geographic regions of Europe and Asia are important, but they are not as pivotal in geo-strategic value as the Middle East and its geographic periphery (including Central Asia), which are also important energy hubs. If one scrutinizes a map of the earth or Eurasia they will notice that Indo-China or Japan or the Korean Peninsula cannot lead to any meaningful “penetration” of Eurasia. The Russian Federation also acts as a barrier to any drive from Eastern Europe that would be meaningless unless Ukraine fell into NATO’s orbit and Russia lost its Caucasian territories. Due to political realities India, the giant of the Indian sub-continent, can only be used as a counter-weight to China or to spoil the formation of a Eurasian alliance led by Russia, China, and Iran. Whatever value these geographic areas have in regards to containment theory is lost in regards to penetration, aside from India and Ukraine under the proper circumstances. It is from the Middle East and the area that has been mandated to the U.S. military under CENTCOM that Eurasian penetration can commence. Thus, it is by way of instability and war in this region that the U.S. and NATO have a pretext and justification for their military presence. It is also this area that will be the linkage between the military flanks being created against Russia, China, and their allies on the outer edges of Eurasia. The hub of the “Arc of Instability” is where Iraq, Iran, Eastern Syria, and portions of Anatolia are geographically situated. This area is the most dangerous and volatile section of the “Arc of Instability.” Should a crisis with Iran and Syria be lit then the whole “Arc of Instability” can be lit ablaze like a powder keg. Iraq and the Persian Gulf are currently active and tense military zones of operation. This hub within the “Arc of Instability” is distinctly Anglo-American in its characteristic. It is the Anglo-American alliance that manages and oversees this war zone. Several European countries had initially posted their troops in Anglo-American occupied Iraq, but gradually reduced and removed their military contingents. Italy and Spain were amongst these countries. The European troop movements were publicly correlated to political changes in national governments within the respective capitals of these European countries. The aim of the troop movements was to portray the departures as acts of opposition to the war in Iraq. Angry European populations were misled into believing that a shift in foreign policy was underway, but this was an act of public deception. These nations compensated the broader war effort and agenda by deploying or re-shuffling their troops to Afghanistan or to Lebanon. Their actions were almost inconsequential to the broader war effort. NATO members, such as Germany, are also involved and present in military operations in the Horn of Africa. The military activities of NATO and its members, including their almost perfectly coinciding military operations in the Eastern Mediterranean, the Red Sea, and the Arabian Sea, discloses advanced insight about a larger war agenda. The whole “Arc of Instability” is manned by NATO and close NATO allies, such as Australia and Israel. 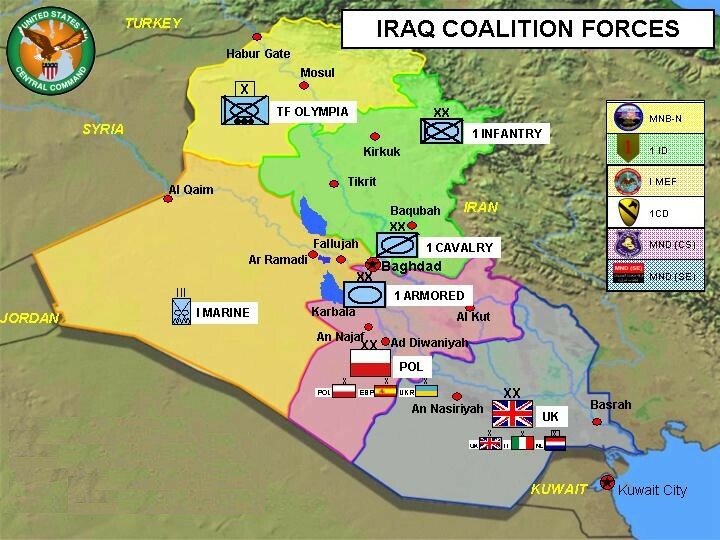 NATO as a whole is involved in the war project and American, British, Polish, Danish, Czech, and Romanian troops are present in Anglo-American occupied Iraq. Moreover, NATO is also responsible for certain aspects of military training inside Iraq. Additionally, there is a Franco-German presence in the Persian Gulf and NATO also has made security arrangements in the Persian Gulf with nations such as Kuwait. However, what gives a particular NATO characteristic to the outer peripheries (tiers) of the “Arc of Instability” (in reality the area of military operations) is that greater numbers of NATO countries are involved in the military operations in these zones. Also NATO has an official mandate in these areas and has a role in the so-called “post-conflict” phase of operations in these areas. This phase in reality is the occupational and restructuring phase of the conflicts ensuing in the “Arc of Instability.” This form of “post-conflict” participation could also be linked to the low tolerance the populations of many of these NATO states would have in regards to casualties or supporting the war effort. The bulk of NATO troops have been positioned within the eastern and western outer peripheries of the military theatre of operations. Once again, the war zones almost precisely correspond to what is defined by the U.S. military as CENTCOM. It is only the former Yugoslavia that falls outside CENTCOM’s borders. Yugoslavia was effectively divided by the “Big Four” of NATO as Henry Kissinger refers to America, Britain, France, and Germany. In the former Yugoslav Republic of Macedonia (FYROM), NATO operations wield great control over the country and its government. Germany and the U.S. both play major roles. Under the shadow of the E.U., NATO still plays a role in the former Yugoslav Republic of Macedonia. Slovenia, the northernmost and smallest republic of the former Yugoslavia, has been absorbed into both NATO and the European Union. Nothing remains of the Yugoslav Federation. Serbia, the last and declining bastion of independence in the Balkans, is under siege and has been reduced to a landlocked and paralyzed status. In Bosnia-Herzegovina, NATO used to reside as the Implementation Force (IFOR) and the Stabilization Force (SFOR), before operations were handed over to the so-called European Union Forces (EUFOR). France, Britain, and the U.S. divided the Slavic country into three militarized sectors before the “Global War on Terror.” Despite the name change, nothing changed on the ground in Bosnia-Herzegovina in regards to the deployment of NATO troops. EUFOR was merely a facelift for Franco-German and Anglo-American operations. 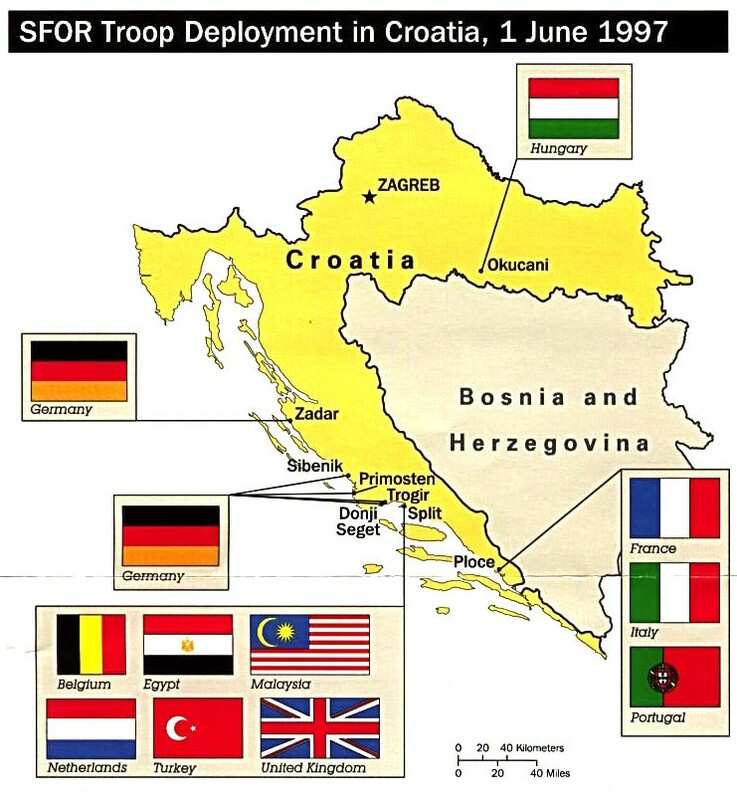 While Bosnia-Herzegovina was divided between France, Britain, and the U.S., the German military was deployed to Croatia, where Germany had major interests. In fact, in regards to the former Yugoslavia, both Germany and the U.S. played the lead roles of dismantling the federation. After the Kosovo War of 1999 between NATO and the remnants of the Yugoslav Federation, Serbia and Montenegro, the province of Kosovo was occupied and divided under a formal U.N. mandate into sectors. Kosovo Force (KFOR) was created by NATO to be in charge of Kosovo. Kosovo was divided into five zones by NATO. The U.S., France, Britain, Germany, and Italy all commanded one zone and the military forces of other NATO members in their respective zones of responsibility. However, Russian forces rushed into Kosovo to secure the area and their interests. Thus, the situation in Kosovo was complicated for NATO by the presence of Russia. In all the conflicts in the western periphery of the “Arc of Instability” the Europeans are taking the political lead, independently from America. However, there subsists a unified stance and policy between America and these European countries, pertaining to the former Yugoslavia, Lebanon, and Syria. After all, the whole project is a NATO project. However, there is a distinctly Franco-German characteristic in the Eastern Mediterranean. In the western outer periphery, in particular the Eastern Mediterranean, the Franco-German entente, working politically through the E.U. and militarily through NATO, is overseeing NATO operations. The informal presence of NATO on the ground and off the shores of Lebanon is merely part of this manning process by NATO in the broader war agenda. The NATO presence in the Eastern Mediterranean is also part of the eastward expansion or thrust of NATO that is matched by a westward push in East Asia and a growing American-led military position in the Indian Ocean that is pushing northwards from posts such as Diego Garcia in British territory. 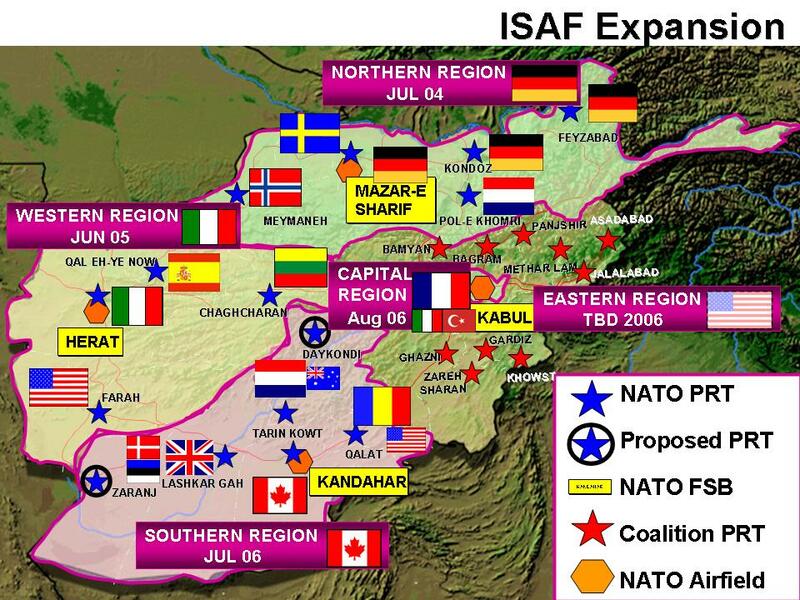 In Afghanistan NATO is deployed under the mantel of the International Security Assistance Force (ISAF). Aside from Britain and the U.S., the French, the Germans, the Italians, and the Canadians play lead roles on the ground in Afghanistan. In addition to Afghanistan, NATO is also present and involved within the borders of Pakistan. NATO has also established bases near the borders of China and Iran, which have concerned Beijing and Tehran. The Southeast Asia Treaty Organization (SEATO), created in 1954 and dissolved in 1977, included the U.S., France, Pakistan, Britain, Australia, Thailand, New Zealand, and the Philippines. This military alliance was in reality a small trans-Eurasian military arrangement positioned in the Rimland. Its mandate was to contain both the U.S.S.R. and the People’s Republic of China. It is the structural design of this bridging alliance, SEATO, which the U.S. is in the process of restoring. SEATO created a formal military link between the western and eastern ends of the Eurasian landmass. America’s objective is to create an enduring trans-Eurasian military bloc in which Japan is slated to play a key role from both an economic and military standpoint. The projected Japanese role in Asia falls along the lines of the Nixon Doctrine, which calls for the transformation of regional nations into the regional arms of America. Presently, Japan is in the process of transforming itself from a pacifist country to a military power that will be the engine of an “Asiatic NATO.” Japan is an economic power which has the capabilities of developing its military strength and challenging China. However, the Japanese government does not have the political capital to transform Japan into a military power because of internal opinions within Japan and the external opinions and fears of the rest of Asia. Asian societies will fear and view Japanese rearmament as a return to Japanese militarism and imperial ambitions in Asia. This is where the demonization of North Korea, China, and Russia plays an important role. North Korea has armed itself because of the legitimate fears of an American attack. Chinese and Russian activities are also of a defensive nature. The demonization of these three countries in Asia is meant to legitimize the militarization of Japan and several other Asian countries. The other step being taken to alleviate the concerns of Asian societies about the militarization of Japan is the formulation of an Asiatic military alliance. This is where Australia has played a key role, by creating a framework for an alliance with Japan. In the mantle of collective security, a militarily robust Japan will not be seen or feared as a threat. It will be China and China’s allies which will be portrayed as the threat to Asian security. Thus, Japan and Australia will lead a military front in Asia as American surrogates. This is part of the project to create three strategic fronts against Russia and China. Pressure will be exerted from NATO in the western end of Eurasia, while in the Middle East there is a strong NATO presence and a “Coalition of the Moderate” is being formed and armed, which will eventually become a de facto extension of NATO. The arming of Saudi Arabia and the Arab Sheikhdoms of the Persian Gulf is directly linked to the inward penetration of Eurasia from the Middle East via Iran. While NATO exerts pressure from Europe and the Middle East, Japan and Australia will do the same from the eastern end of Eurasia. Russia, Iran, and China are all being addressed through three Eurasian fronts. Michel Chossudovsky, Debating “War and Peace” behind Closed Doors: NATO’s Riga Security Conference, Centre for Research on Globalization (CRG), November 26, 2007. Henry Kissinger, Years of Upheaval (Boston, Massachusetts: Little Brown and Company, 1982), pp.669-670, 675, 677. 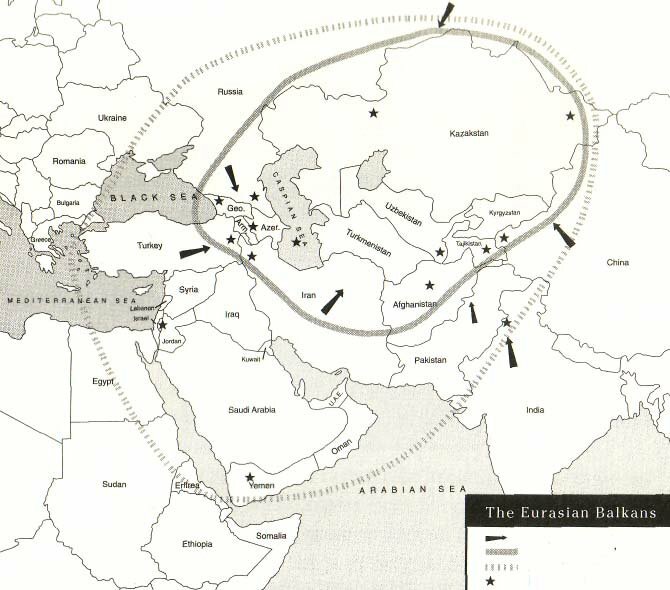 Mahdi Darius Nazemroaya, Plans for Redrawing the Middle East: The Project for a “New Middle East,” Centre for Research on Globalization (CRG), November 18, 2007. Zbigniew Brzezinski, Out of Control: Global Turmoil on the Eve of the 21st Century (NYC, New York: Charles Scribner’s Sons Macmillan Publishing Company, 1993), p.164. Zbigniew Brzezinski, The Grand Chessboard: American Primacy and Its Geostrategic Imperatives (NYC, New York: HarperCollins Publishers, 1997), p.123. Kissinger, Years of Upheaval, Op. cit., p.722. Paul L. Knox and Sallie A. Maston (Places and Regions in Global Context: Human Geography); obtained from the Universitat Pompeau Fabra (UPF), Spain. Zbigniew Brzezinski (The Grand Chessboard: American Primacy and Its Geostrategic Imperatives). Nicholas John Spykman (The Geography of the Peace). [Annex] Mahdi Darius Nazemroaya (Centre for Research on Globalization).